Welcome to Roaring Fork Skydivers, one of Colorado’s finest skydiving facilities. We are located in beautiful Glenwood Springs, Colorado serving Aspen to Grand Junction and just 1 hour from Vail. Come up for the weekend. With only a somewhat short but scenic drive from Denver, Boulder or Colorado Springs too! We offer tandem skydiving, solo skydive training, and experienced skydiving services. We have an outstanding safety record and a fun, motivated and highly experienced staff members. Our world-class instructors have thousands of jumps and years of experience! 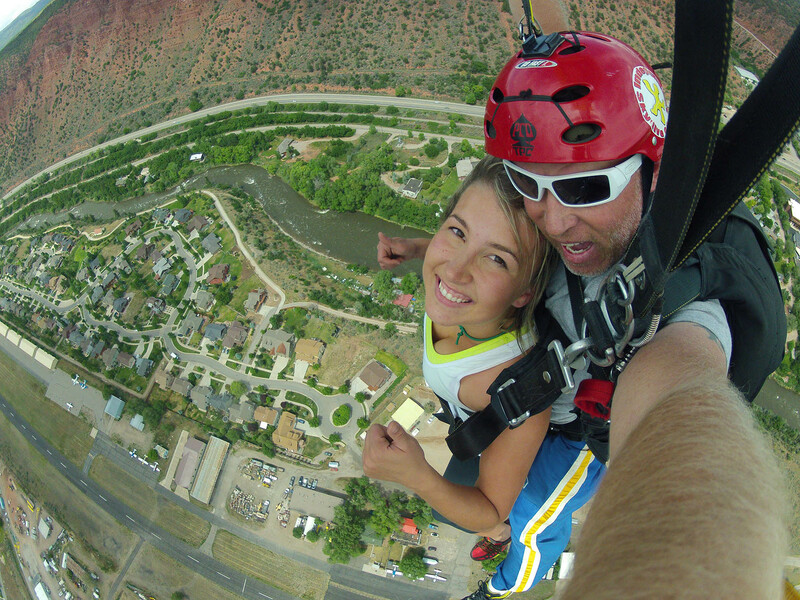 Here at Roaring Fork Skydivers, we take the time to give you a memorable, relaxed and safe skydiving experience! Call today to book your skydive adventure – 970-364-3737. Whether it be your first tandem jump, certification course, or any assistance as an experienced skydiver, our facilities can accommodate you. We have gear to rent and an airplane to fly, so join us on this adventure! Bring along your friends and family to watch and experience the thrill of the sport yourself. You may also purchase a gift certificate or two for your favorite person! Skydiving has been part of many private and corporate events as well! 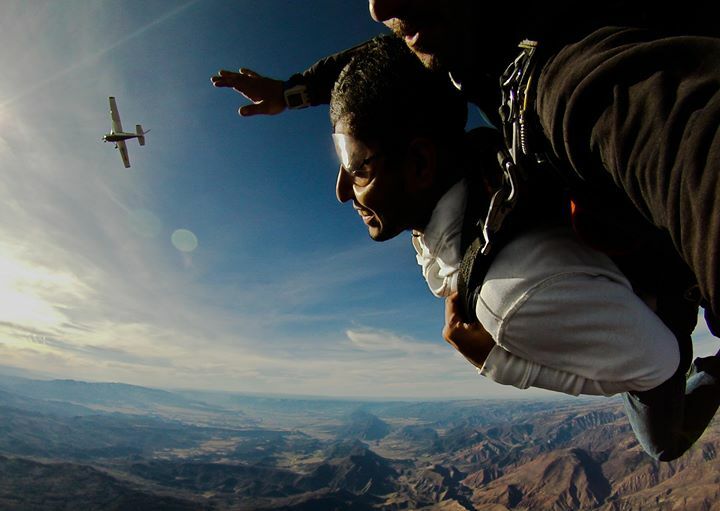 From birthdays to engagements, to weddings, graduations or anniversaries, you don’t really need a reason to skydive. Give your staff a break and come for team building events! Reunions, bachelor or bachelorette parties, we are here to help you celebrate your day. Give us a ring to find out about event scheduling and most importantly, our group rates! Roaring Fork Skydivers is here for you! Skydiving Photography and Videography services are also available. You may purchase your digital pictures and/or video and easily share them on social media. Don’t let fear set your limits. Ask us about any concerns you may have and we will do our best to help. Safety is our number one priority. © 2019 Roaring Fork Skydivers.